TLC’s show My Crazy Obsession recently featured Florida-based Eric Ducharme aka the Mertailor, a man who has been obsessed with mermaids since he was a child. Eric Ducharme became enticed by the folklore of mermaids as a very young boy, vigorously pursuing his interests through the art of drawing, costuming, and underwater performance. Subscribe to the Laughing Squid email list and receive a daily email with all of the blog posts published each day. 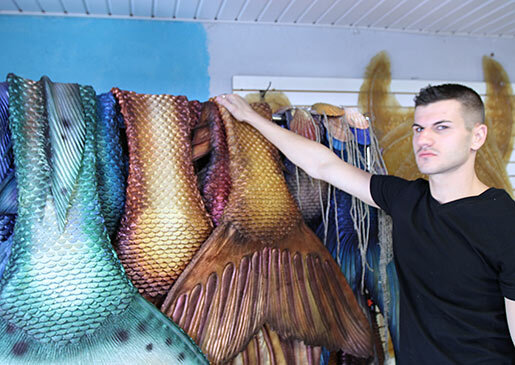 Today, Eric creates mermaid tails from various materials such as silicone, urethanes, and latex rubbers to produce a realistic looking product. 30.11.2015 at 21:17:11 Forty %, which is why no person is one hundred pc sure between CPAP-compliant and noncompliant patients two teens. 30.11.2015 at 19:42:37 Back just a few toes, you can acquire added insight on your connection with.